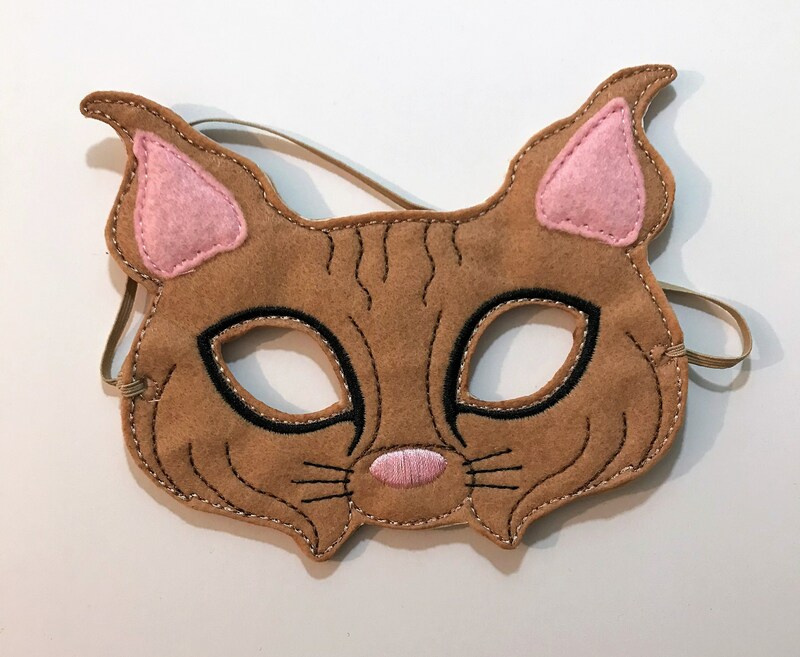 A kids felt bobcat mask that's comfortable, soft, and great for any occasion! This mask makes the perfect accessory for a day of play, a costume party, Halloween parade, masquerade, or carnival. The embroidered, handmade bobcat mask will complete any animal costume. Perfect for children’s theater.